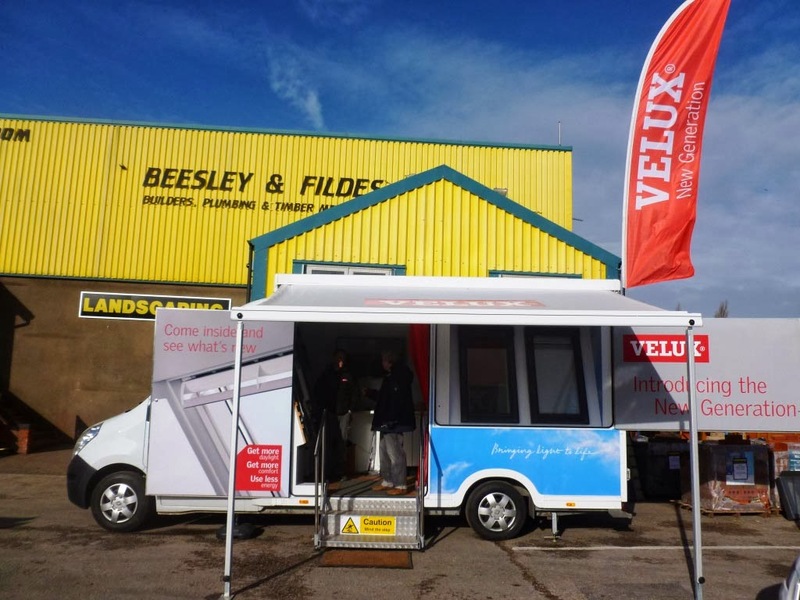 On the first Spring like day of the year, the Velux New Generation Roadshow arrived at the Huyton branch yesterday to a warm welcome from staff and customers alike. With the sunshine beating down, it was the perfect opportunity to introduce our customers to the new range of Velux windows and flashings now in stock. If you missed the roadshow then don’t worry as we will be holding another one at our Chester branch on Monday 28th April, 8am-4pm.Register your attendance now at for your chance to win an HD Smart TV*. For any Velux enquiries and clearance deals contact our Roofing Development Manager, Darren Frazer on 0151 480 8304 ext:244 or alternatively contact your local branch today and speak to our team who will be happy to give you a FREE quotation and specialist advice. *Terms & Conditions apply, see Velux website for details.